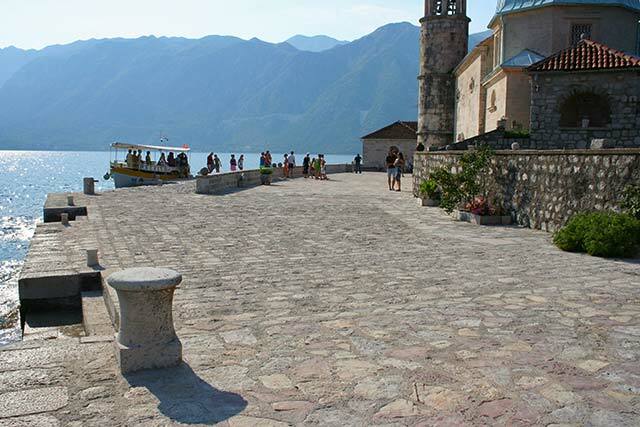 A great way to see the natural and historical beauty of Montenegro is via a private bus tour. 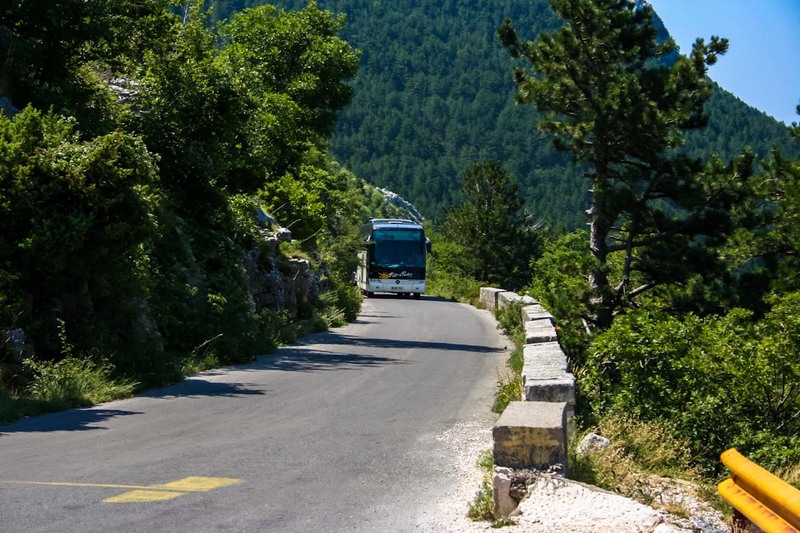 A variety of bus tours are available to different destinations and some tours companies incorporate Montenegro into their Balkan packages. Tours of the region (including other destinations like Bulgaria, Hungary, Croatia and Serbia) from 15 to as many as 43 days, starting at around 1,300€. 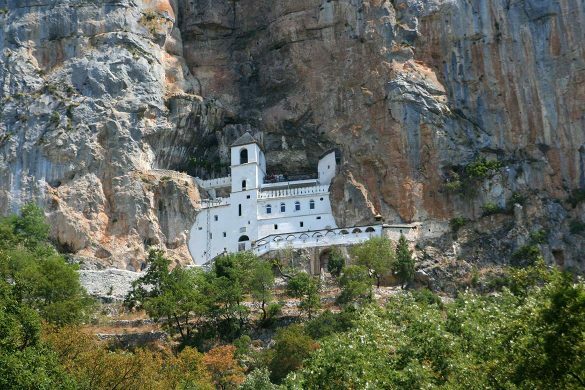 Half day, day and two day trips to locations and sights such as Tara Bridge and Canyon, Skadarsko Jezero, Lovcen and the Njegos Mausoleum, Ostrog Monastery, Boka Kotorska, Podgorica, Ulcinj and the Albanian border are of course much cheaper and well worth considering. 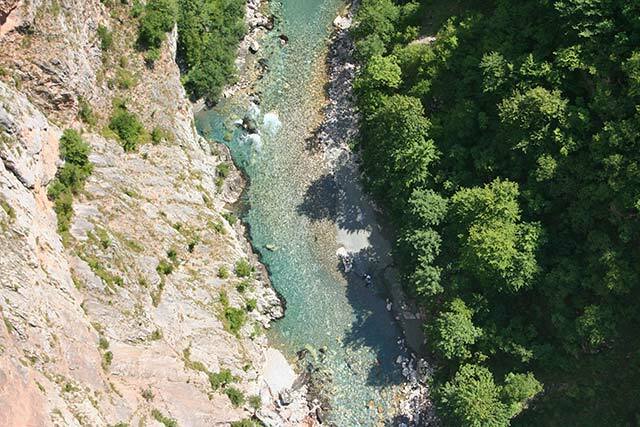 The tara river flowing through the Durmitor park. Marvel at the majesty and explore historic towns hemmed in by limestone cliffs. 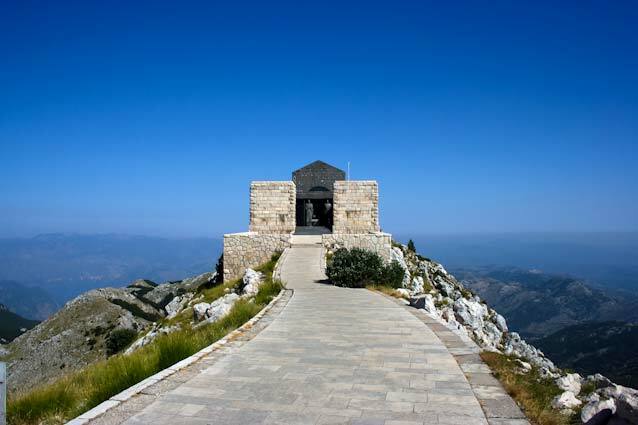 Drive the vertiginous route from Kotor to the Njegoš Mausoleum. Enjoy iconic island views while lazing on the sand. 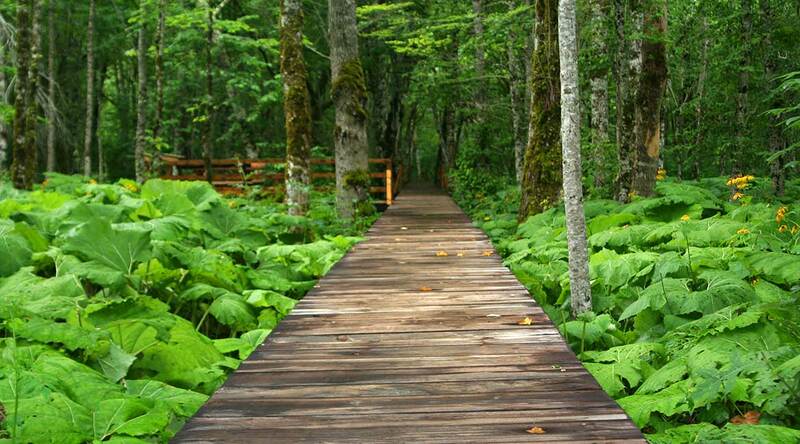 Seek the spiritual at this peaceful place. Raft between kilometer-plus high cliffs. 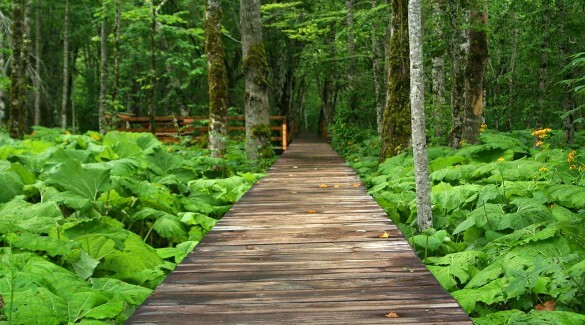 Wander through primeval forests mirrored in a tranquil alpine lake. Splash through the floating meadows of water lilies. From almost every notable sea town there is the possibility to take a boat trip along the coast visiting most towns. 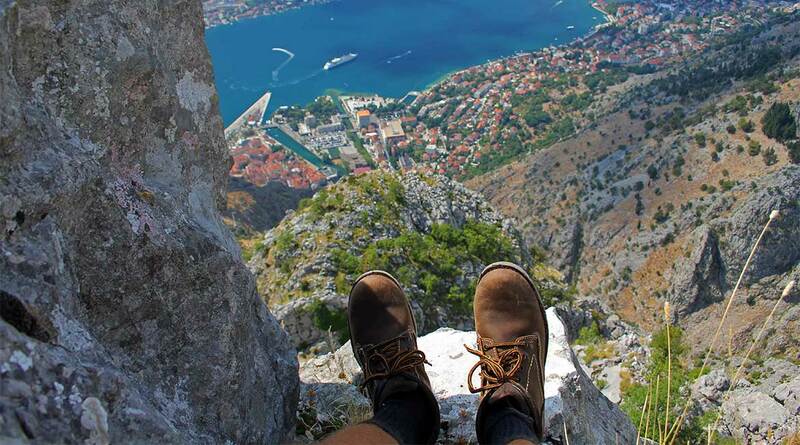 Most popular is the visiting of the Boka Kotorska, were you can enjoy the amazing breathtaking scenery by boat, even more impressive then by car, and visit monuments like the Gospa od Skrpjela and the ancients towns of Perast, Kotor and Herceg Novi. 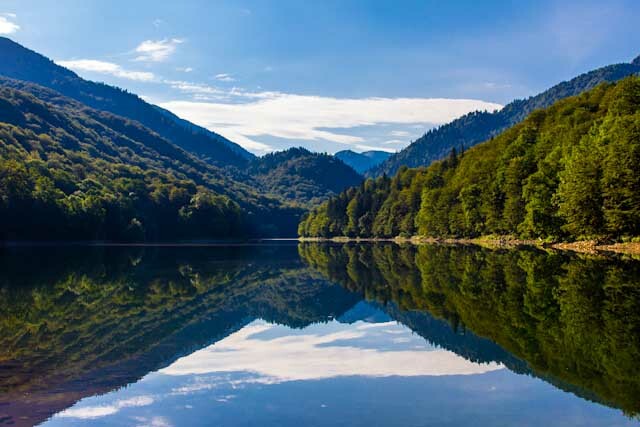 An another popular destination is the Skadarsko Jezero. Excursion boats can take you for trips of various length on the lake, possibly including the visit of some island monasteries. 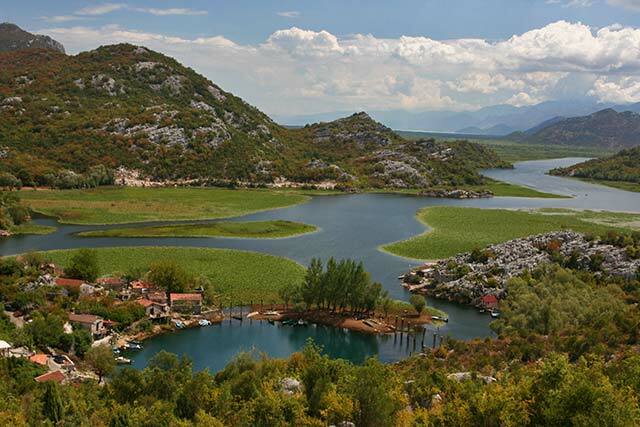 Almost all boats has the typical shape of Skadar lake’s boats, very long and narrow. Good for passing the and maneuvering the smaller and shallower parts of the lake. 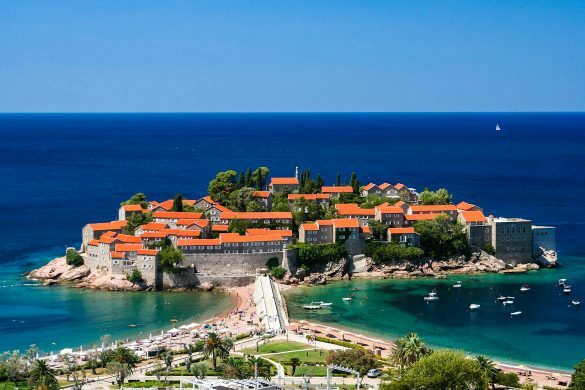 “The most beautiful contact between the earth and sea took place at the Montenegrin littoral”. The rafting tours, if starting from Kolasin or Mojkovac, are 15, 20 or 98 kilometers long. Rafting trips could be 1 day, 2 day’s or 3 arrangements. 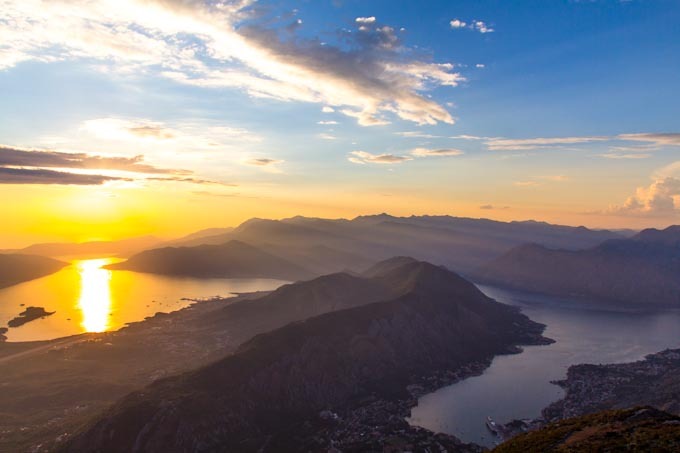 With the stunning scenery and views afforded from the mountainous coastline to the rocky interior, hiking in Montenegro can be as relaxed or as challenging as you wish it to be. There is something to suit every age group and every fitness level. Montenegro has a good network of mountain huts and small villages in remote areas often provide basic but clean accommodation. One of the most beautiful and most known hiking route is the Coastal Mountaineering Transversal Route. The route crosses the UNESCO protected Boka Kotorska and Lovcen National Park before descending to beautiful Skadarko Jezero and summitting Mount Rumija. Taking approximately 7 a 8 day’s to complete. This is the duration for almost every organized hiking tour. Montenegro bike tours are popular due to its small size, Mediterranean location, and proximity to other appealing Adriatic destinations. Bicycle tours in Montenegro often also pass through neighboring countries while exploring the varied landscapes and sites of this interesting region. 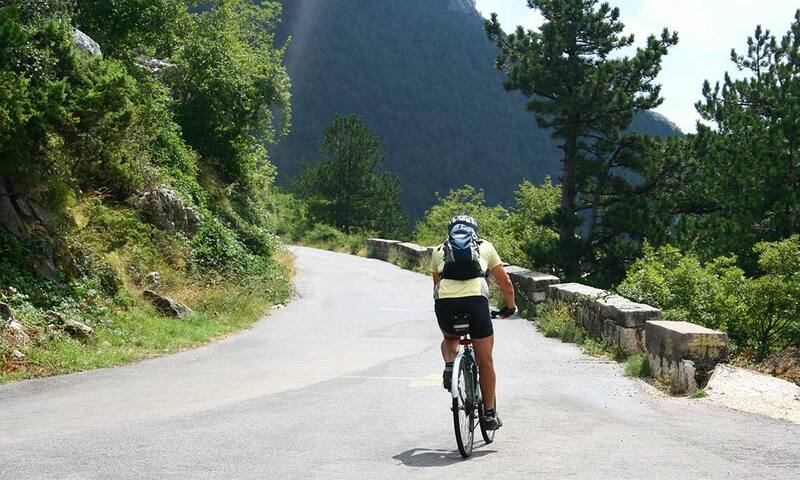 The mountains are a great destination for a Montenegro bike tour so you can experience the dramatic views. 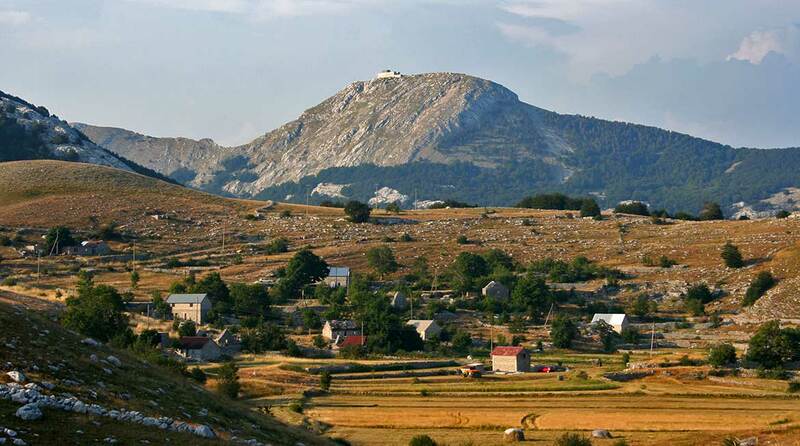 Duration of almost every organized biking tour is around 7 – 8 days, crossing almost every part of Montenegro.